Five new games were teased from tinyBuild Games at this year’s PAX West. 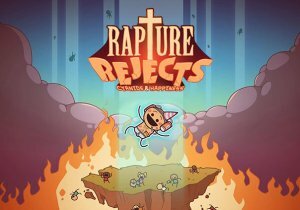 In addition to that, they announced that Rapture Rejects is now available for Pre-Order, which grants access to the Private Alpha. Alpha Playsessions happen every weekend! They also teased that the Secret Neighbor Open Alpha is happening on Halloween! Signup for that can be found at this link. Velvet Sundown begins closed beta testing, and releases more beta keys for interested players to grab.